Amazon appears to have inadvertendly confirmed the existence of GTA V for the PC with a listing appearing on its French and German sites. 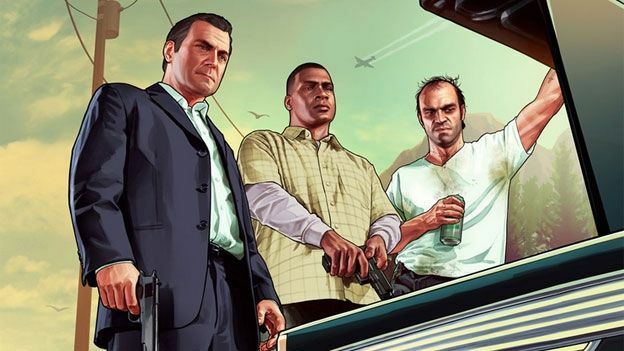 Developer Rockstar has so far limited the game, which has sold by the boatload since it was released last year, to the PlayStation 3 and Xbox 360. The online retailer has a habit of spilling details on forthcoming games has pulled the listing on its French site but - at the time of writing - the German page was still live. The listing says that GTA V will be compatible with Windows 7 and Windows Vista, and is priced at 60 Euros. Rumours of a PC version of the game have been around for a while and gained credence after a leaked bug log surfaced in an XML file and was shared around the internet. The log contains notes on PC development bugs and DirectX 11 support, as well as audio issues and details about the smog weather setting in the game. Here's everything we know so far about GTA V appearing on PC. If Amazon's slip-up is anything to go by, we could be seeing a PC version of the game in the next couple of months. Unfortunately, no-one seems to know if a next-generation versions for the PlayStation 4 and Xbox One are in the works.